Before leaving on our road trip to Montana, I had the opportunity to check out a local farm I've been curious about and I am so glad I did. The Lamm Family Farm has been many things over the years -- a sheep farm (Cute, right? Can you imagine baby lambs running around The Lamm Farm? Too much! ), a family home, etc. 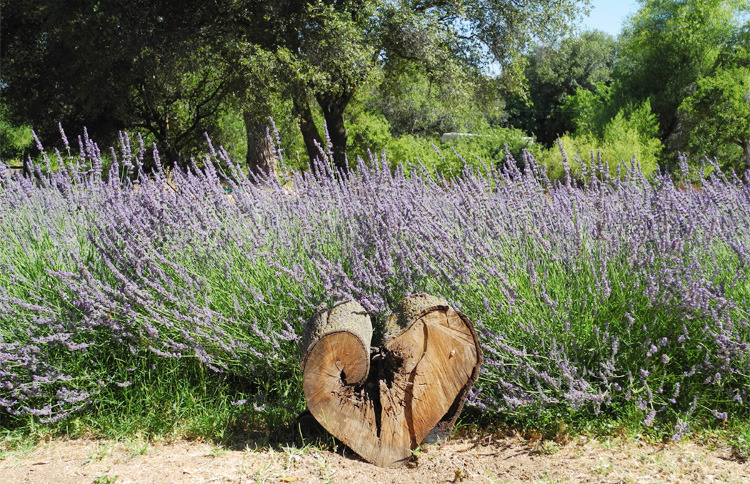 -- but in 2010 three generations of the Lamm family set out to groom the 12-acre property for lavender production and they've been at it ever since. 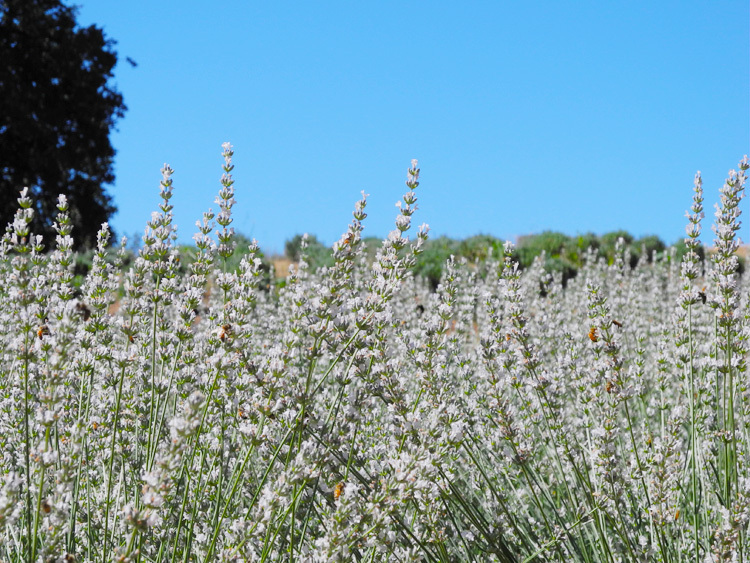 They currently grow five different varieties of lavender including Grosso, Folgate, Hidcote, Melissa and Edelweiss. The Melissa (white-ish in color) Lavender was really beautiful. I had no idea white lavender even existed! 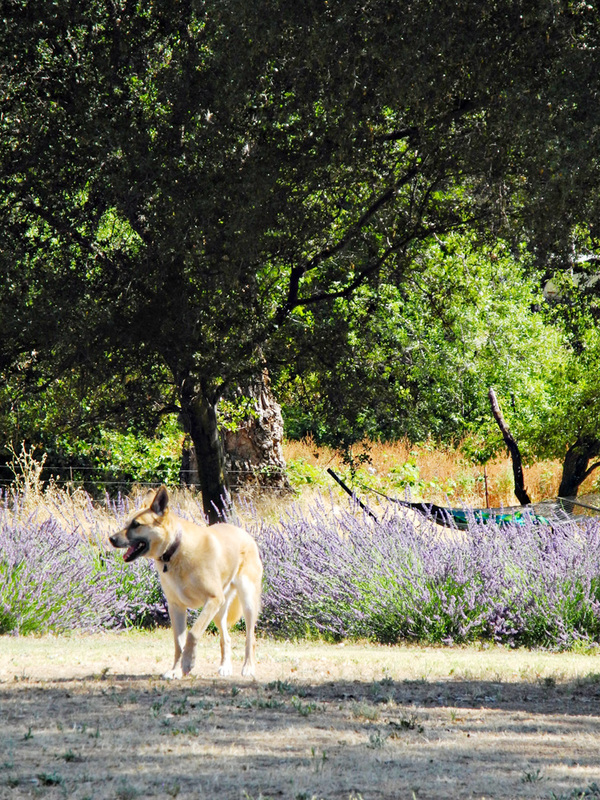 I stopped by just as the lavender came into full bloom and was promptly greeted by the real boss around the farm: CJ the dog. I was also rewarded with an incredibly fragrant morning, delicious lavender lemonade (recipe below!) and the sound of thousands of very busy bees. 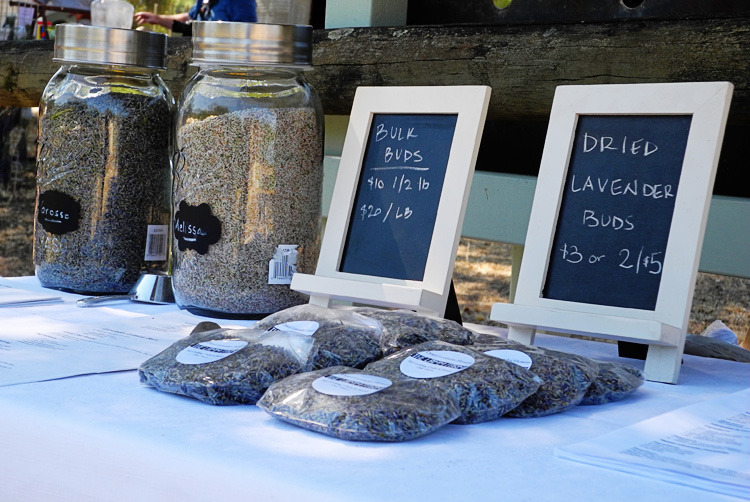 The farm is located near Lincoln, just east of Sacramento and while their "you pick" events are over for the season, you can still get your hands on some beautiful dried lavender products via their Etsy store. And that lavender lemonade recipe I promised? Here it is! In a large saucepan, bring 7 cups of water to a low boil. In a bowl, carefully pour 4 cups of the water over the lavender and let steep for 10 minutes before straining. Pour the remaining 3 cups of water over the sugar and stir until dissolved. Combine the lavender and sugar mixtures in a pitcher and stir in the lemon juice. Serve over the ice. If you'd like to learn more about The Lamm Farm and stay up to date with their events, your best bet is to find them on Facebook. You can also shop their Etsy storefront, follow them on Twitter and read about the evolution of the farm on their website. Have a safe and happy 4th of July, my friends!